Sheesh...I know it's an awful title for the post,but I couldn't think of anything else. Let me tackle each word in the title one by one..
Gluhwein is wine which is heated up with some spices and served hot .Christmas markets here are famous for different types of gluhwein.When the weather is freezing outside, it's a relief to hold that warm glass of wine and sip it little by little. I am not so used to alcohol, but I've always liked wine - the sweet ones that are made at home back in India.Unlike the wines I am used to, gluhwein has more alcohol content and DH did remark that after having just one, I was talking a little more, laughing a little more and that I am revealing all his secrets .. [big grin] I've moved to Kinderpunsch (non alcoholic children's drink) since. In the picture is another delicacy that's available here in Erlangen at this time of the year. 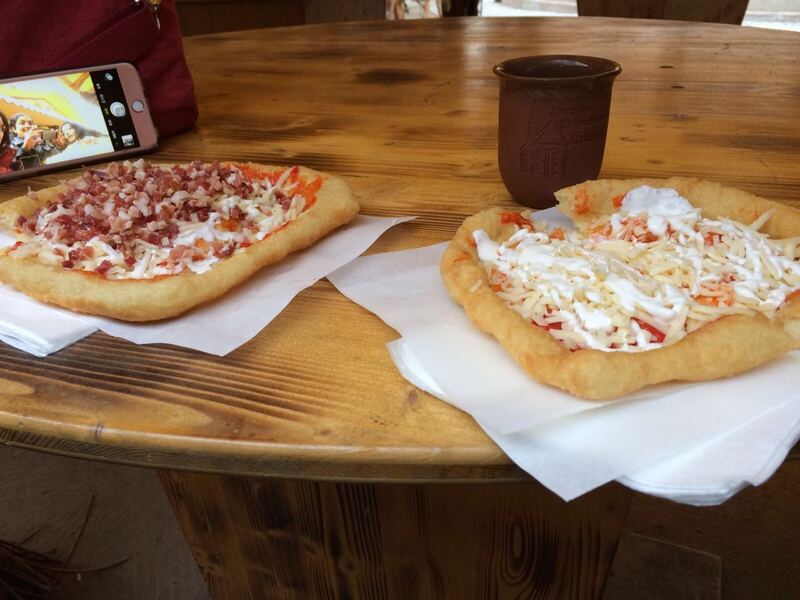 It is called Langos and is from Hungary. It's very popular here and reminded me of an Indian dish called Batoora.It looks like pizza but is deep fried and then toppings added.It is yum, but not so healthy. We also visited the Nuremberg Christmas market, supposedly the world's largest. Plenty of fun to be had there too. In between all the activities going on around me I managed to almost complete another bunch of BE flowers..almost.. 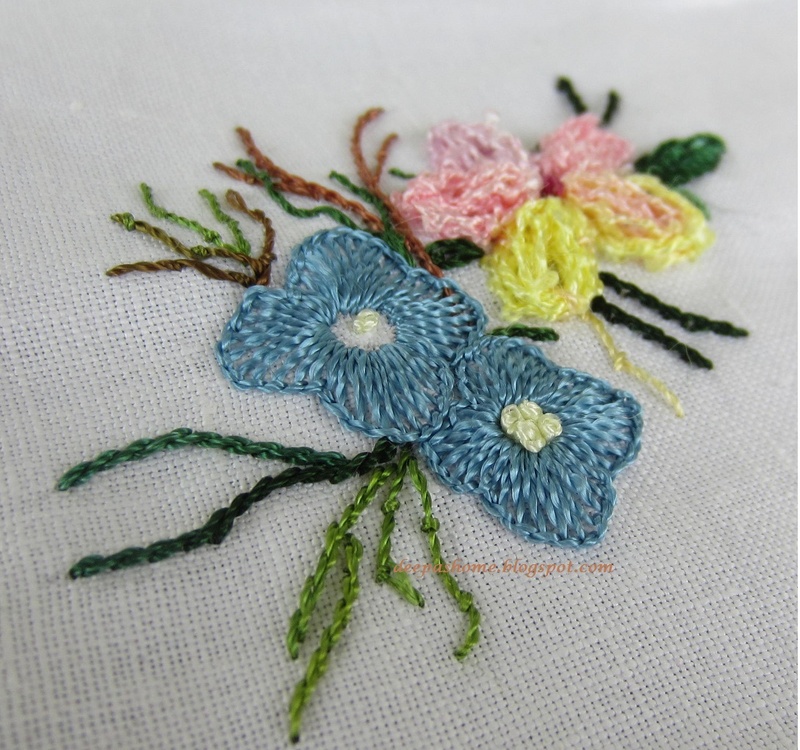 I started with the Boucle flower and as usual it gave some trouble because it's been a long time. This is the first time I am using a Boucle yarn with so many color variations. I love the colors here..reminds me of everything that is pleasant..
Then I moved on to the blanket stitch flowers and now the bunch looks like this.. I just have to fill up the center of one of them and this will be complete. I am running out of light shades to fill up the center of flowers and green rayon threads too. By the end of this project there will not be many green shades left with me. Boucle yarn is a trial to stitch with, but it looks great! Thank you for telling us about the drink and the food - interesting to see the customs from other parts of the world. 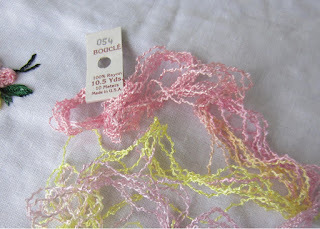 I've never used boucle yarn for embroidery - I assume it would have to be couched? Ohhhhh! Love your first photo! Who was in the picture on the phone? Was it you? Great shot ..... just love it! Thank you for telling us about the food .... and the drink .... Tee hee! I drank one glass of wine before my handicraft group's "Christmas Cheer" .... and my friend was asking me how many glasses I'd had ... just 'cos I was very chatty, and laughing a lot! 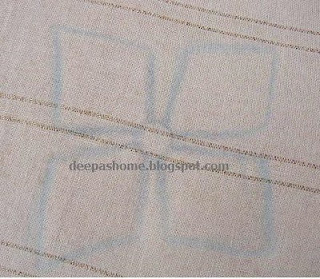 Love your Boucle flower ... was it stitched or couched? 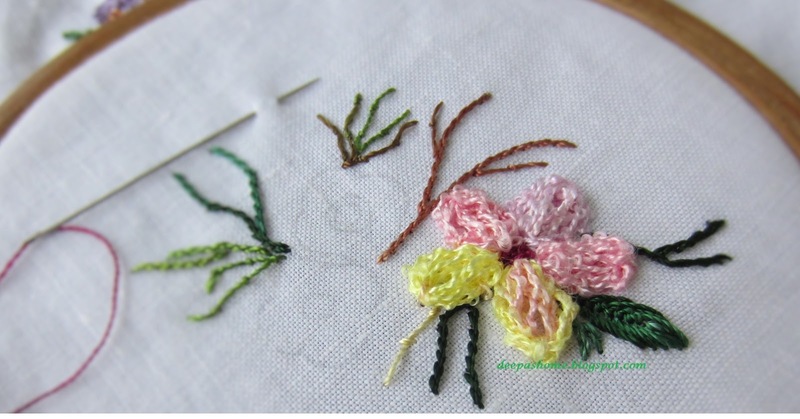 I would never have thought the other flowers were blanket stitch ... very effective, and very pretty!